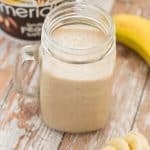 Peanut butter banana breakfast smoothie – cool down after an intense workout with high protein smoothie that so easy and incredibly healthy. I’m back with another breakfast recipe only this time it’s a smoothie and breakfast rolled into one serving. Nowadays you will find plenty of people opting for a smoothie in the morning as opposed to cooking or even eating cereal. There is no golden rule when it comes to breakfast time, it’s simply a case of what’s considered the “social norm” but gone are the days of cereal and/or a fried breakfast. I personally don’t have an issue with what one eats for breakfast just as long as it’s “healthy” – subject to debate, filling and boosts energy levels. Once you nail those breakfast key essentials then I’m your best friend. 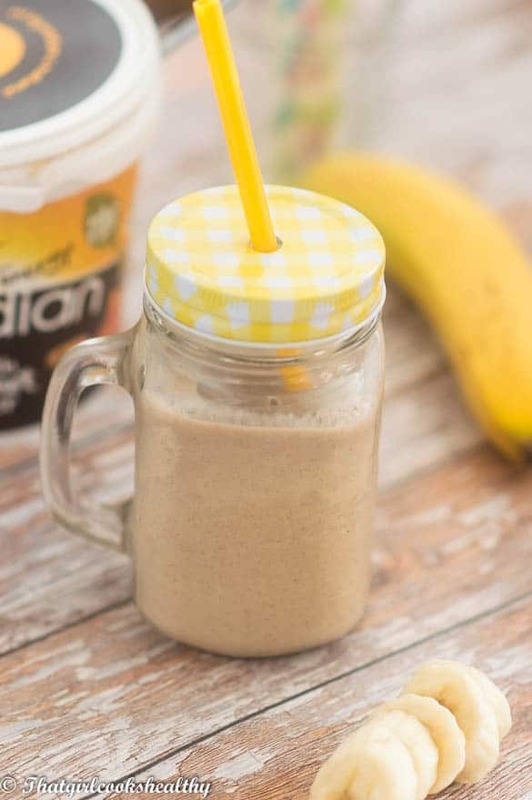 My peanut butter banana breakfast smoothie (try saying that really fast three times) is a must have for people on the go. 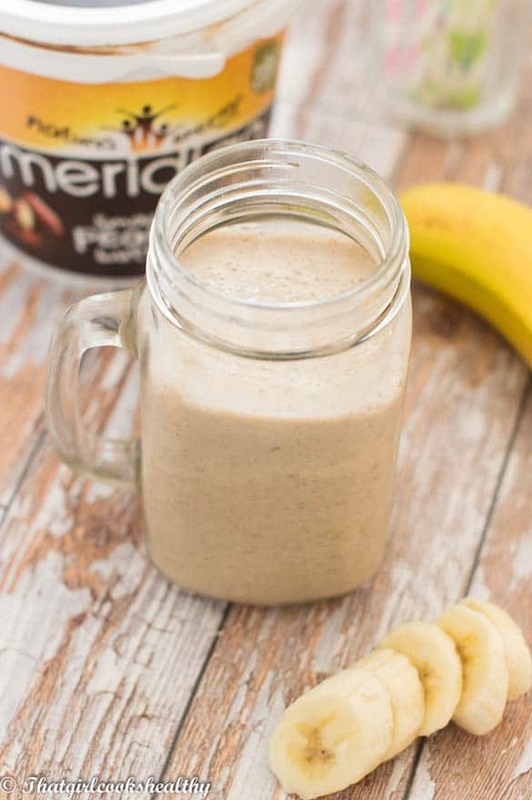 The points above are just some of the reasons why you need this peanut butter banana breakfast smoothie in your life. I have a plethora of smoothies to choose from on my blog like this pineapple papaya banana smoothie or why not try orange pineapple and banana smoothie . These are just two of my favourite banana infused smoothies, both of which are very very filling and adored by my lovely readers. 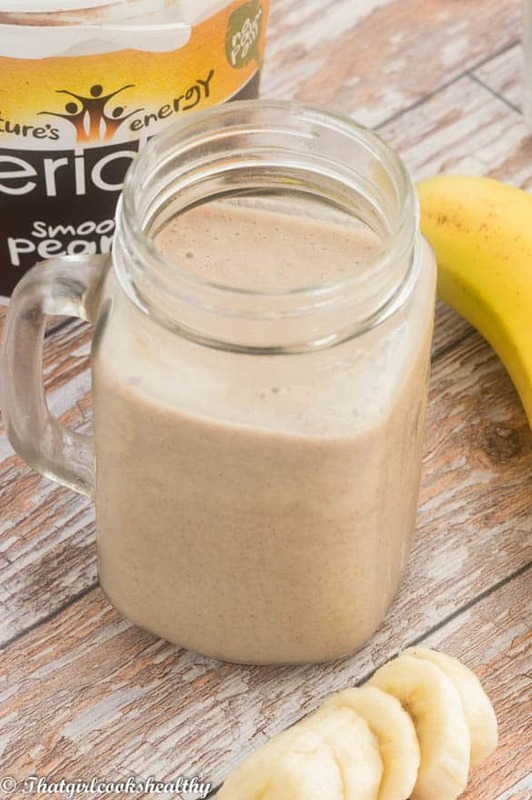 Don’t forget to add some of your favourite protein powder to this smoothie – making it a great post workout smoothie if required. 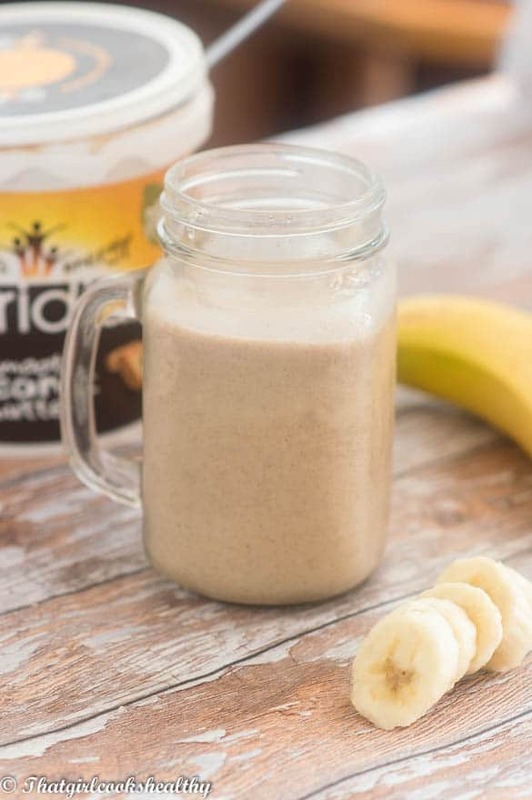 The ingredients – peanut butter, almond milk, dates, chia/flaxseed, nutmeg and oatmeal yield nothing but versatility and we all love a bit of variety in our lives. Add all of the listed ingredients to a blender and blitz into a smooth consistency. This looks perfect! I’ve been looking for something nutritious but small as I really struggle to eat well in the sunny day ! 🙂 can’t wait to give this a try for our blog. Thanks, I will give you a feedback soon.